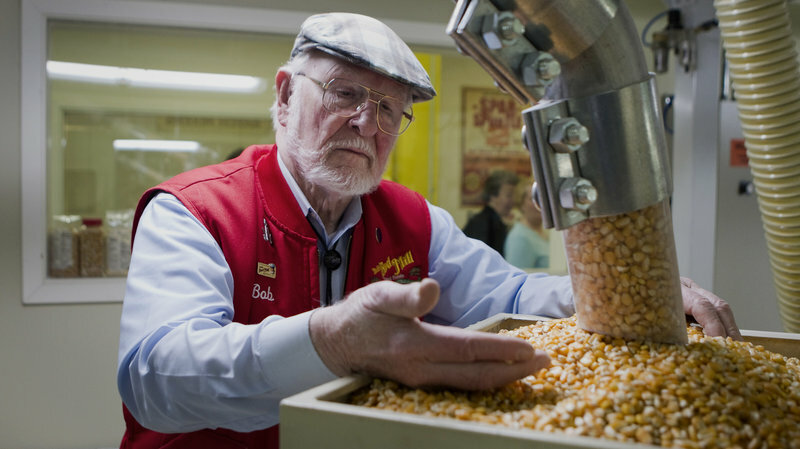 Bob Moore, the 90-year-old founder of Bob’s Red Mill, was just a few years into the business of milling whole grains at a converted animal feed mill in a Portland, Ore., suburb when he got a visit from some gluten-free Seattlites who’d come down with a business proposition: Use his business contacts to help them buy bulk xantham gum, an ingredient used in gluten-free baking to help replicate gluten’s elasticity. This was the early 1980s. Moore had never even heard of celiac disease — a serious autoimmune disorder in which eating the protein gluten damages the small intestine — much less a gluten-free diet. But he made the purchase, sold half to the Gluten Intolerance Group (GIG), and kept this potential market in mind. When an arsonist burned down the original mill in 1988, Moore realized the new facility he moved into, which was bigger and had separate rooms where gluten-free products could be fully separated from the glutinous, would finally allow him to do more for people like the women from GIG who’d talked to him so many years before. 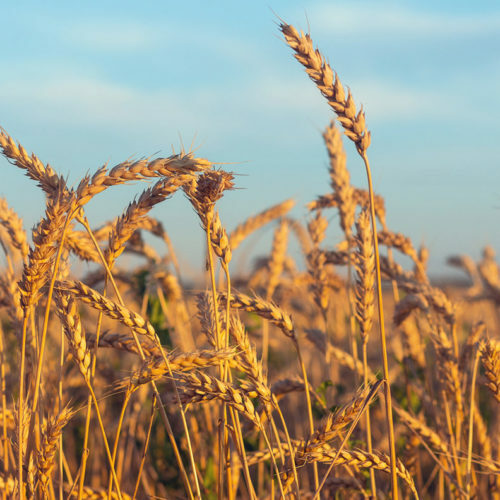 Though references to illnesses resembling celiac disease date back to the 5th century, it wasn’t until 1930 that a possible connection between celiac and wheat was first made. It took decades before gluten-free diets became a widespread treatment for people with celiac disease. Until then, most celiacs were treated with a diet that consisted of up to 200 bananas weekly, as Jill Neimark wrote for NPR. Options for people with celiac disease or non-celiac gluten sensitivity have been limited until recently. “If you want to imagine what eating dry, dusty soil is like — that’s gluten-free bread in the 1990s,” says Megan Orpwood Russel, a writer from San Francisco who has been on a gluten-free diet since the ’90s and was officially diagnosed with celiac disease 12 years ago. She regularly carried a supply of rice crackers and peanut butter as an emergency snack, because so few people understood what foods contained gluten. Most gluten-free products that existed then “tasted like garbage or nothing,” Orpwood Russel says. It wasn’t a market most companies were trying to get into. That’s what makes it so surprising that Bob’s Red Mill, then a relatively small whole grain manufacturer, did. Today the company sells more than 100 different gluten-free products, which target that market from the time the plants are sown. “If you’re going to grow gluten-free, that’s all you’re going to do,” Moore says. The farmers can’t alternate crops of gluten-free millet with wheat or barley, nor can those plants be grown close enough to contaminate the gluten-free crops. They need separate equipment for the crops as well, from harvesters to storage tanks. It’s become a big business. A full wing of the Bob’s Red Mill 325,000-square-foot warehouse is currently dedicated to gluten-free foods. Food safety and quality assurance manager Meghan Keeley says that in the early days of gluten-free foods, “We had so few items they were literally doing it by hand,” taking a pipette with a sample and testing it for gluten one at a time. Machines are needed to help with the process now, and the gluten-free lab runs 22 hours every day. The raw materials are tested on delivery, then again after milling, and at least once more in final form. “Something in its lifetime might get tested up to four times,” Keeley says. Under the current guidelines from the Food and Drug Administration, products have to have fewer than 20 parts per million of gluten to be labeled gluten-free. Keeley explains that in raw form, a random sample might not pick up a “few rogue wheat berries” in the garbanzo splits they use to make garbanzo flour. As the mixtures become more homogenized, it’s more likely that the machine would sense any gluten content. If there’s gluten to be found, employees are keen to root it out. 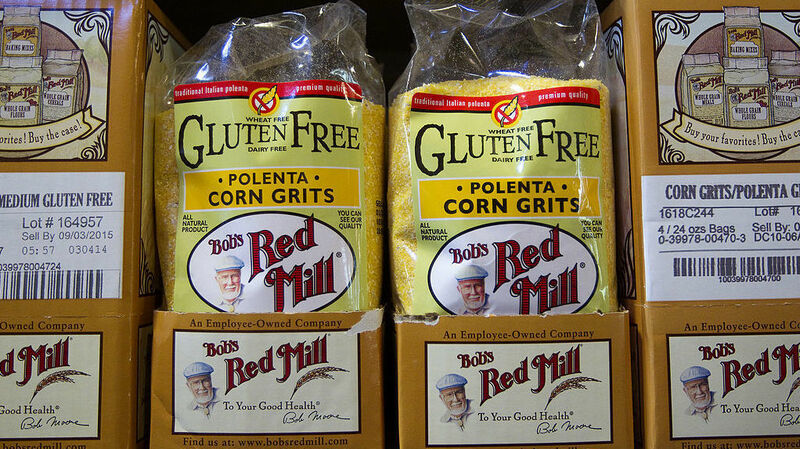 Bob’s Red Mill wants to keep its reputation as one of the more trustworthy companies for people with serious gluten allergies, even if many of those people think the federal standard for gluten should be closer to zero parts per million. Moore, who became aware of an unmet need for gluten-free earlier than many companies, seems impressed by the tenacity of advocates like GIG who have helped create today’s large market for gluten-free foods. Unlike a company that creates a new product, then advertises it to customers to convince them to buy it, gluten-free foods started almost as a grassroots campaign. Tove K. Danovich is a journalist based in Portland, Ore.
People with Celiac disease are a bit closer to enjoying gluten products again. With the help of genetic modification, a team of Northwest scientists have engineered a unique wheat variety that’s safe for people with gluten sensitivities and allergies. Why Are So Many Gray Whales Washing Up Dead On Pacific Northwest Beaches? Welcome to the new digital home of Northwest Public Radio and Northwest Public Television. The new year brings an internal change to our organization, joining TV and radio. Together, we’re NWPB. Thank you for your continued support of public broadcasting in our region. Your support matters. Thanks for visiting www.nwpb.org. It looks like you might have an Ad Blocker enabled. Please whitelist www.nwpb.org to ensure that you are receiving the fully uncompromised interactive experience. Click here for help whitelisting NWPB.org.